There are many ways to reduce cooling costs and cool homes efficiently. You can reduce the amount of energy you use to stay cool by making a few simple and practical changes. Wear light, loose clothing made of breathable fabrics, like cotton. Set your air conditioner's thermostat to 24-27oC or as high as you feel comfortable with. Every degree higher may help reduce the running costs by up to 10%. 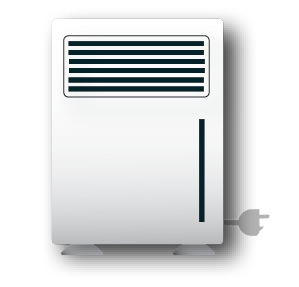 Choose the best cooling appliance for your needs based on the size of the area you need to cool. A cooling specialist can help you with this decision. Keep out unwanted heat by shading north and west sides of your home. Adjustable external shading, deciduous trees and closing curtains and blinds will help keep your home cooler in summer, without permanently blocking the sun you need in winter. When using a refrigerated air conditioner, only cool the areas you need by closing doors to rooms you aren’t using and using zone controls on a whole-of-home system if you have them. Sealing gaps around doors and windows and using draught excluders under doors will also reduce wasted energy. Evaporative air conditioners work differently and will be more effective if you open some doors and windows to increase air flow through the home. If it is cooler outside at night, save energy by turning your air conditioner off and opening doors and windows to allow cooler breezes to enter your home. If possible, use window locks or lockable screen doors to keep your home safe. 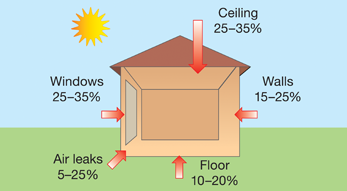 In summer, up to 60% of heat can be gained through your ceilings and walls if you don’t have insulation. Be aware that if you insulate your home without shading, meaning your home gets hot faster, the insulation will trap the heat inside. Shading will reduce this. Cooling appliances work in different ways and use different amounts of energy. Choosing the best cooling appliance for your needs can help you lower your energy use and running costs. 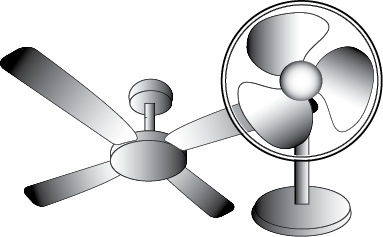 Cooling the smallest possible area is generally more energy efficient than cooling multiple rooms or a whole house. The table below provides a range of options for cooling appliances and an approximate running cost for each type. The examples are only a guide and will differ depending on the size and efficiency of your appliance, how big the area is you are cooling, what the thermostat of the appliance is set to, and whether your home is insulated and draught-proofed. You can get a more accurate idea of how much your heater costs you to run by calculating your running costs or using a plug-in power meter, which you can borrow free of charge as part of a Home Energy Toolkit. 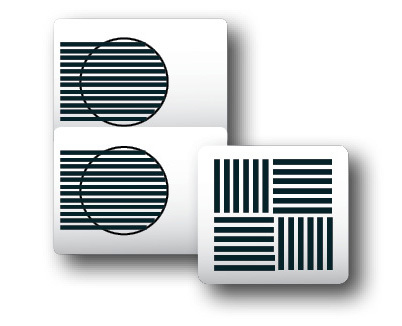 Can be used on their own or in combination with other cooling appliances. Can assist with moving cool natural breezes through your home. Reversible ceiling fans can also help with winter heating. Needs good air flow to operate effectively, so place near an open window or door. Not as energy efficient as split systems but more effective in well-insulated homes. Includes indoor and outdoor components connected by a hose passed through a partially open window. Setting the thermostat to 24–27oC or as high as is comfortable for you, will reduce running costs. Direct louvres at the ceiling, as cold air falls. Work best in well-insulated and draught-proofed homes. The outdoor compressor should be in a well ventilated and preferably shaded area. Effective in South Australia's dry climate. Can also be used as a large fan. 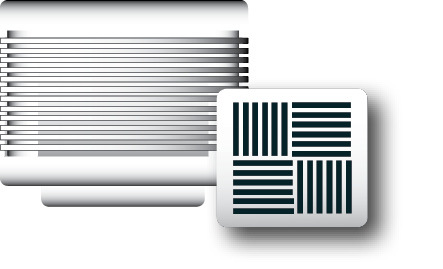 Systems need good air flow to operate effectively, opening some windows and doors will help. Work best in well-insulated and draught-proofed homes with well insulated ductwork. Systems with zoning can reduce the size of the area being cooled, using less energy. Running costs are a guide only. Calculations are based on AGL’s standing retail contract electricity rates, which are generally high and have no discounts. Customers with smart meters on time-of-use plans or demand tariffs may be able to shift their electricity use to cheaper rate periods. Methodology is available from the Government of South Australia’s Energy Advisory Service. You can save on energy use and costs by reducing the amount of cooling you need. Follow our easy energy saving tips and watch our video for more information. If you are buying a new cooling appliance, talk to a cooling specialist about the best option for your needs. The specialist can work out the cooling power output (rated in kilowatts (kW)) that you need, taking into account the size of the area to cool, size and location of any windows, and ceiling height. A cooling appliance that is too small will not effectively cool your home, will work constantly for longer periods and result in higher than necessary running costs. The following cooling output capacities are not a substitute for seeking specialist air conditioning advice but can be used as a very rough guide to what may be appropriate for your home. When shopping around for a new cooling appliance, take into account the costs associated with installing, running and maintaining the appliance, as well as the purchase price. While some appliances may be cheap to buy and/or run on an hourly basis, the cooling they can provide and the area they can cool may be limited. For example, a portable refrigerated unit may not be enough to cool a large room, whereas a ducted evaporative system may cool an entire home and cost only a little more per hour to run. Some refrigerated air conditioners will have an energy rating label that you can use to compare the energy use and efficiency of different appliances. The more stars the better. If two systems have the same kW cooling output capacity but one has more stars than the other, it means it will use less power to achieve the same cooling output and will cost you less to run. You can compare the estimated running costs of new appliances on the Energy Rating website. Buying a new cooling appliance may also be a good time to consider your best options for heating as well. In South Australia, cooling may only be needed at times during a few months each year, while heating can be needed for up to six months. Installing heating and cooling appliances that complement each other, such as reverse cycle air conditioning or an evaporative cooler and a gas space heater, can help to reduce installation and running costs, and greenhouse gas emissions. Following the manufacturer’s maintenance and cleaning instructions helps your appliance run as efficiently as possible and keeps it safe. During extreme heat it is easy to become dehydrated or for your body to overheat, especially for infants and older people. SA Health provides information on staying healthy in extreme heat, particularly when the power goes out. Telecross REDi is a service provided by the Red Cross to South Australians during heatwaves. During extreme heat events, volunteers call pre-registered clients to check on their safety and wellbeing. If a call goes unanswered, an emergency procedure is activated to check the person is safe. 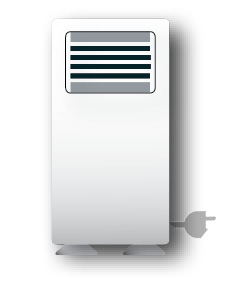 According to the Australian Energy Market Commission (2014), a consumer using a large 5kW air conditioner during peak times causes about $1,000 a year in additional network costs, compared to a similar consumer without an air conditioner. The consumer with the air conditioner only pays about $300 extra under the most common network prices. The remaining $700 is paid by other consumers through higher network charges. The Australian Government's Energy White Paper 2012 (page xiv) highlighted that while the cost to purchase and install a 2kW air conditioner is around $1,500, it can cost the energy system around $7,000 to cover the additional electricity demand from that air conditioner. Upgrades to electricity network infrastructure and generation have been required to support the increase in electricity demand. This has contributed to higher electricity costs for South Australian households. Reducing air conditioner energy use can lower the cost of supplying electricity, bills and greenhouse gas emissions, and decrease strain on electrical infrastructure.